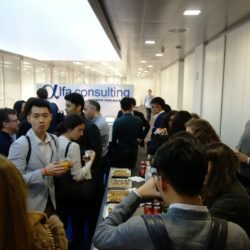 ESADE has chosen Alfa Consulting as one of the companies to visit within their Profession in Action program for the MSC students. 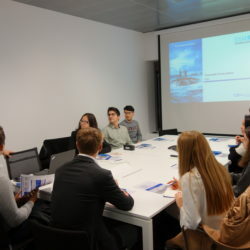 Last monday, January 22, ESADE MSC students visited our offices in Barcelona as part o their Profession in Action program. 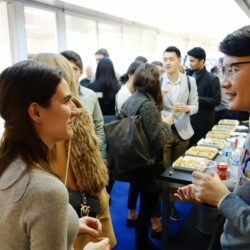 This initiative aims to offer students a view of real professionals’ day to day responsibilities in their own work environment and see the different approaches in different markets and companies. 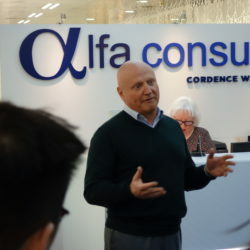 Alfa Consulting was chosen as example of the consulting area. Ignacio Guerra, our CEO, welcomed the group of students during the afternoon and introduced the company. Then, after a tour showing our facilities, a few activities and presentations took place. 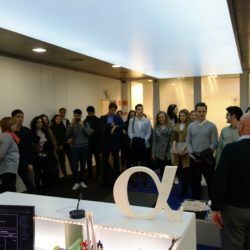 The 22 students were able to meet some of the consultants and staff, who explained how we work at Alfa Consulting and our business philosophy. While at the office the students also participated in case study sessions lead by our Partner, Jordi Zaragoza and Manager, Oscar Serra. 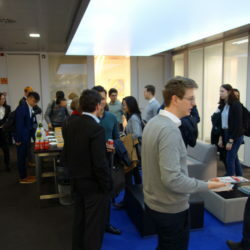 The occasion also gave us the chance to interact with the ESADE MSC students and answer their questions. 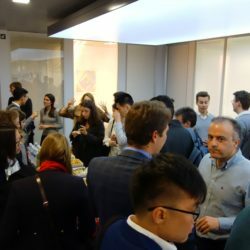 We closed the day with a cocktail where the ESADE students had the chance to talk with other consultants who shared their insights in working at consulting. 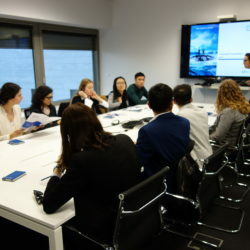 We hope this experience helped the students become more familiar with working in a consulting company and look forward to repeating the experience next time.